Born in Dorset, Hodges was signed by his local side Bournemouth as a schoolboy, and was selected for the FA Youth squad as a 15-year-old. After Bournemouth scrapped its youth policy in a cost-cutting exercise, he was persuaded to join Argyle by one of his former coaches at Bournemouth, Bobby Howe, signing professional terms in 1978. During his schooldays, Hodges had been a winger but had since been converted to full-back, where he played the majority of his games for Argyle reserves. He made his Argyle debut against Bury in 1978, but it was the following season that he established himself in the first team and began a span of twelve seasons when his name would be the most regular on the team-sheet. As a right-back he showed great promise, but the general consensus was that he was at his best as a right-winger, where his speed and crossing created numerous chances. 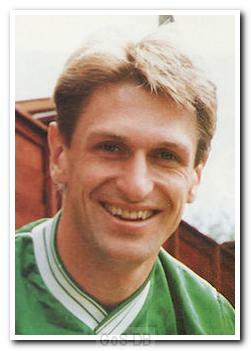 Hodges was part of the midfield when the Greens reached the 1984 FA Cup Semi-Final, but unquestionably his best campaign came in 1985-86 under Dave Smith when Argyle won promotion from the Third Division. Hodges was a revelation with his energy, commitment, close ball-control and knack of making football look uncomplicated. He won numerous awards that season, including Argyle's Player of the Year. Early in 1987-88, his ten years of service was rewarded with a testimonial against the team he supported as a boy, West Ham United. In 1992, he became one of the few players ever to be awarded a second testimonial, with a game against Luton Town after fifteen years at the club. After losing his place in the team he had a short loan spell with Torquay United before returning to Home Park, when he made the last of his 620 appearances for the Argyle, the all-time club record. 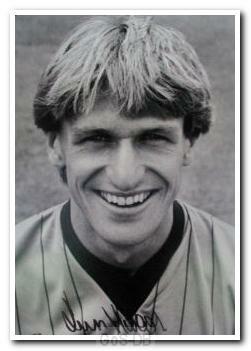 The following month he joined Torquay permanently, where he was appointed manager in 1996. Two years later he became Argyle's boss, replacing Mick Jones. Hodges' tenure started brightly enough, and at one point the team was in third place in the Third Division, but this did not last and his side finished thirteenth in 1998-99. 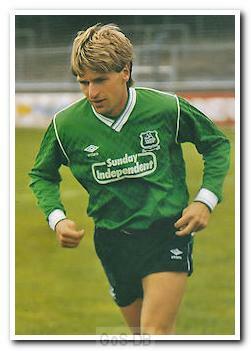 His second season started badly but a 5-0 victory over Leyton Orient signalled an upturn. However, Argyle spent the bulk of that season where they finished, in mid-table. 2000-01 began with a tight budget and a team that needed rebuilding, and by the middle of September, four home defeats brought an end to his time in the Home Park hot seat. After his dismissal, Hodges became Football Development Officer with the Somerset FA, a post he combined with managing non-League Clevedon Town. In October 2005 he was appointed assistant manager of Yeovil Town, and later became head of youth and reserve team manager at Bristol Rovers, but he was released by the club when they withdrew from the Football Combination at the end of the 2007-08 season. Hodges returned to Argyle again in October 2008 to work as a part-time coach for the club's Football in the Community project. Then in September 2010 he assumed responsibility for coaching Argyle's under-18s before going on to become head coach of the Argyle Academy in 2012, and then the Academy's manager. In July 2017 Hodges was upgraded to Academy Director in a reshuffle of the club's youth structure. "I'm sure he's got four lungs" someone once said to me about Kevin Hodges and I knew exactly what he meant. He was doing a 'Norris' way before Chuck was in primary school, he really was all action. My best memory of him playing was in the promotion season of Dave Smith, and he just ran and ran, and he was like a Paul Scholes figure, that is, we never had to buy him, and we all knew we could never replace someone like him for all the money in the world. Slight in build, he had a wonderful engine and the most noticeable thing about him was his hair which bobbed as he ran, and he DID run all over the pitch. He almost made history, and if he was a few inches taller, he would have scored that near miss at the end of the Semi Final, but alas it was not to be. A true gent, nice bloke and our history making record appearance holder to boot.